SEATTLE (ESTRA) --Are Fathers ignored in today’s society? You might be surprised just how much information is out there on fatherhood. 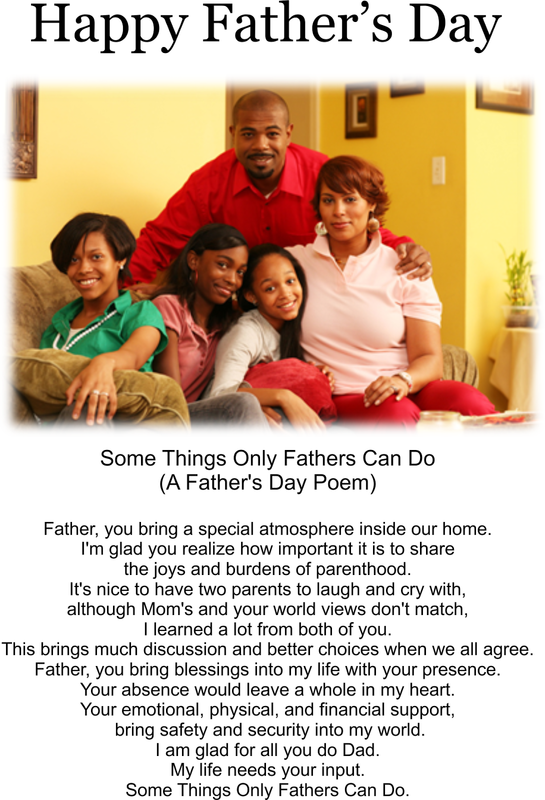 In fact, Fathers may enjoy knowing they are thought about a great deal. In order to help a Father with disabilities, Health & Human Services should consider tracking more of this data, too. Today there are many Fathers doing their part. In fact, some are parenting alone just as many single Moms. No one in society should be forgotten. In order to bring understanding for citizens, we must know and understand the plights of all people. In this way, we can grow together into a better person, community, and country. Information is power, and when used responsibly, aids in making improvements. Ask any corporation worth its weight in salt what information can mean to viability. Fathers have been caring and supportive for generations. Sometimes a few bad apples get more attention than the ones who stay, protect, and love their families. Thank you, Fathers for all you do. You efforts are noticed and remembered, especially in this week, which contains Father’s Day.